I recently sat down to watch a crime show that had been highly recommended to me. It started out relatively well. There was mystery and humor. A bit of a twist occurred midway through. Then all of a sudden one of the relatives of the victim walked into a room with a glaringly large bandage on their wrist…and it was all over for me. He might as well have been wearing a sign around his neck that declared, “Killer.” Bite marks are of course as unique as finger prints. Obviously, he’d been bitten by someone at the scene of the crime as was now trying to cover it up. How did I know this? It has been done before!!! Badly, I might add. But this is not the first time I’ve been affronted with a screaming aw ful, over used way to end a mystery. I was directed to yet another mystery series, this time a British historical version said to be quite glamorous. It was glamorous, but then they pushed a wheelchair bound character in and I deflated. 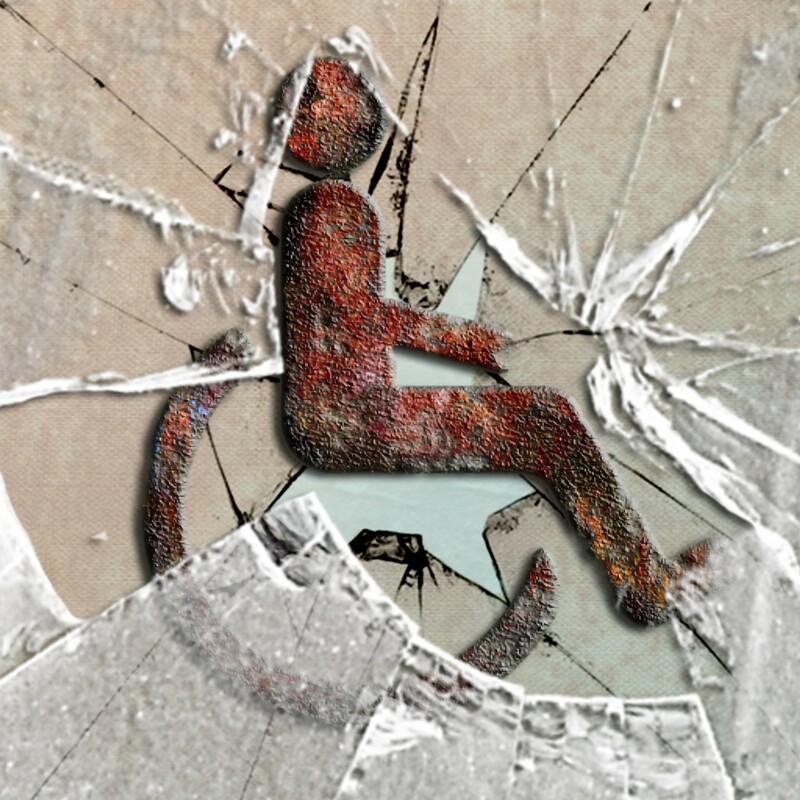 Officially, if you see a wheelchair person in a mystery, odds are high that you will discover that they can actually walk by the end of the show and mostly likely they are in fact the killer. Yes, I know after reading/watching so many mysteries I’m bound to see repeats, but these sorts of ploys are so bad to start with they should never have been used in the first place, let alone repeated. Why? Straight to the point, because they are cheap shots. A mystery writer should give their reader a few clues that could suggest who the killer is, just to be fair, but the clues should never scream, “Look at me!” And trust me, a giant white bandage or a cumbersome wheelchair do just that. But sometimes finding a way to give a clue or dramatic ending is difficult so they go for something easy. Something big and showy that should cause a dramatic response is the fall back. But in reality, we, the reader and the viewer, always suspected her. The truth is, if a writer really wants to shock his reader, subtly is his greatest ally. A small mention of a fact here, a mere coincidence there, a simple object noted by a passerby, all add up to a surprise at the end, even if no one in particular jumped out waving a banner of suspicion….or a bandage. Are there any dead giveaways or just out right cheap shots you can’t stand in writing? Missing/vanished people are bound to be the main character or someone close to them. I know there’s more but I’ll have to think about it. Oh – based on your post, I recommend not reading Storm Siren by Mary Weber. It was very good and I enjoyed it. But I saw the three twists coming from a mile away. Well, I’m glad I’m not the only one who sees these coming. lol A story with overused plot twists can still have redeeming values. For instances, really enjoyable characters can make a story worth sticking to, but the do have to be REALLY good. Project Coordinator by day, Writer by night, and frequently Blogger during lunch hour. So, basically, I'm an average American. I specialize in writing Suspense and Comedy with a healthy dose of Hope mixed in.